NewTek TriCaster is high quality professional production tool which will fulfill the most sophisticated users demands. With this tool you will be able to deliver TV grade live streaming experience to your viewers. 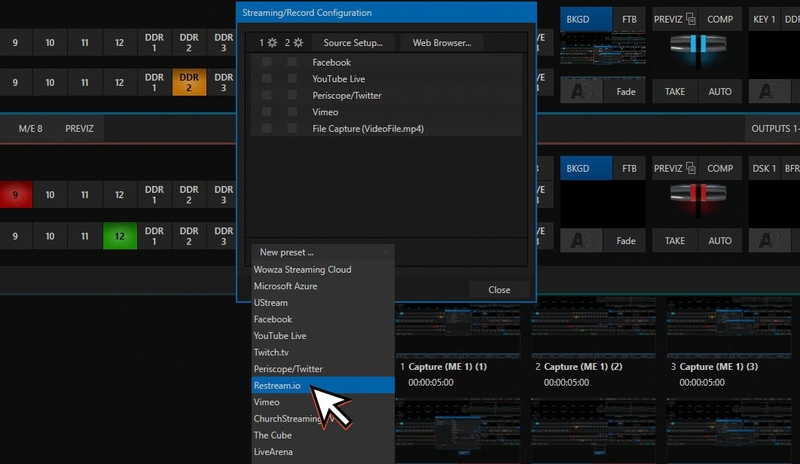 Let's take a look on how to connect your TriCaster to Restream in order be able to stream to multiple destinations at the same time. Restream.io is fully integrated as a service into TriCaster, so connection process is easy and intuitive. 1. Head on to your STREAM/ENCODE settings section. 2. Add new preset in configuration and choose Restream from the list. 4. 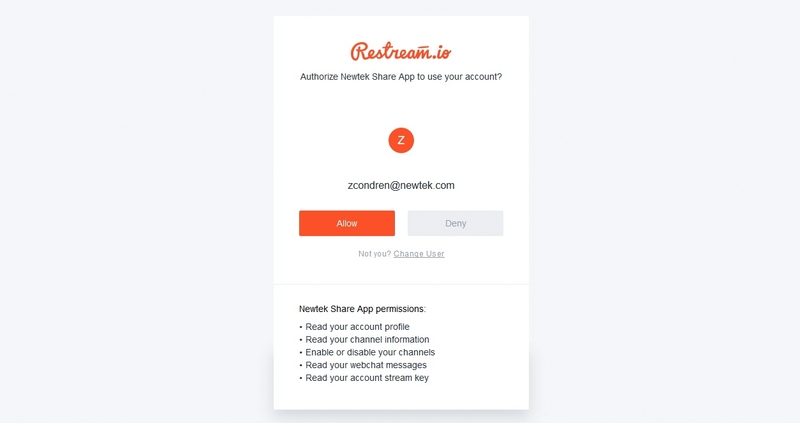 Allow access for Restream application. 5. Choose the best servers. You can test connection here. As soon as you go live your stream will be automatically delivered to Restream, and we will make sure it reaches all your connected and enabled channels!